As Executive Vice President and Chief Operating Officer, John Swieringa oversees DISH’s In-Home Services organization, which conducts residential and commercial installations as well as the company’s customer service and billing, and Information Technology. Additionally, he oversees Manufacturing, which performs equipment retrieval and refurbishment. John joined DISH in 2007. Previously, he was responsible for enterprise information technology strategy and operations as the company’s Chief Information Officer. Prior to this role, he oversaw software development and enterprise systems architecture as Vice President of IT Application Development and Architecture. John spent the first 10 years of his career working in Corporate Finance for DISH and other Fortune 500 companies, before making the switch to IT and operations. The Colorado Technology Association named John 2015 CIO of the Year, and he was additionally recognized in the Denver Business Journal's 2015 40 Under 40 list. 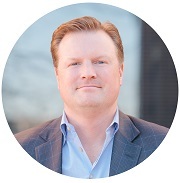 In 2014, he was recognized by IDG’s CIO magazine and the CIO Executive Council as a recipient of a CIO Ones to Watch™ Award honoring CIOs who have demonstrated leadership, drive innovation and delivered value to their business. John earned his bachelor’s degree from Bucknell University and a Master of Business Administration from the University of Denver's Daniels College of Business. John enjoys spending time with his wife, Amy, and their two children.